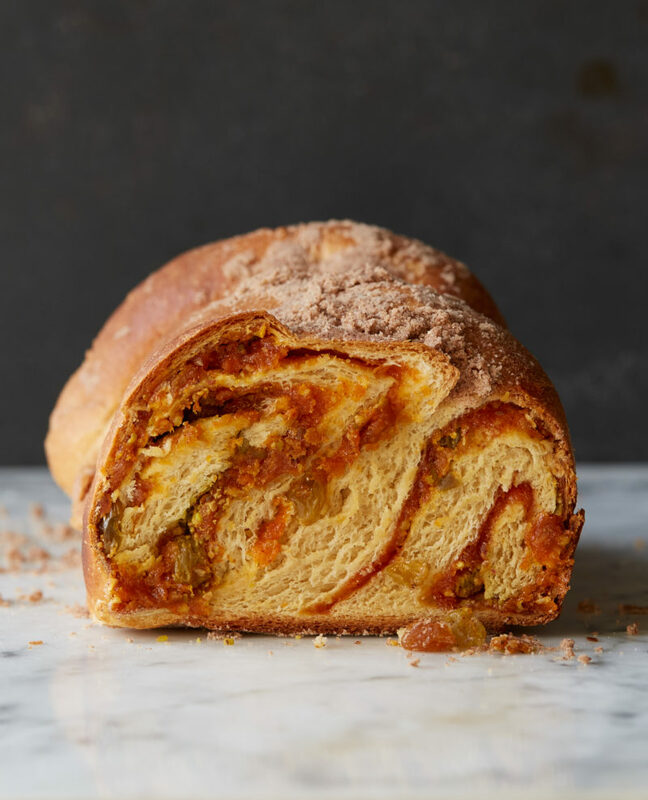 Babka is having a major moment, and why not? There’s lots to love about the loaves of twisted dough, generously interspersed with a filling that usually involves lots of chocolate. Many professional bakers behind babka’s renaissance are working with laminated doughs—yeasted dairy doughs turned with lots of butter. 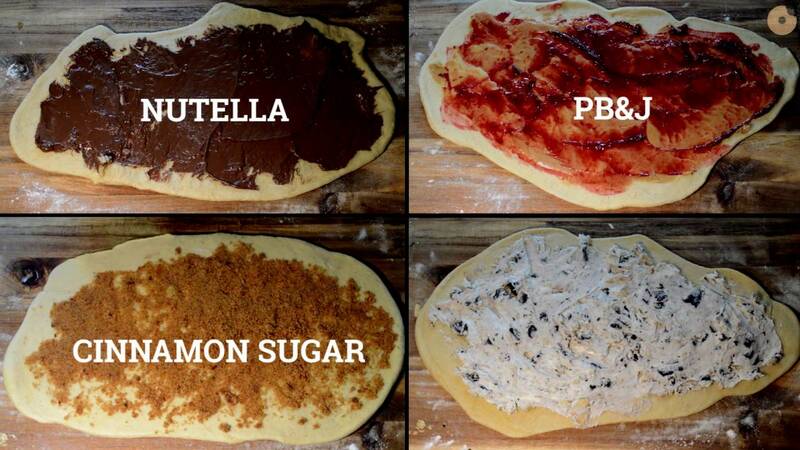 I thought about doing the same, but the challenge of creating a delicious pareve babka made without margarine won out. I couldn’t shake thoughts of my grandmother’s love of apricots, so I built the filling around them. I love the cheeky marriage of Sephardic flavors wrapped in a quintessentially Ashkenazi pastry. 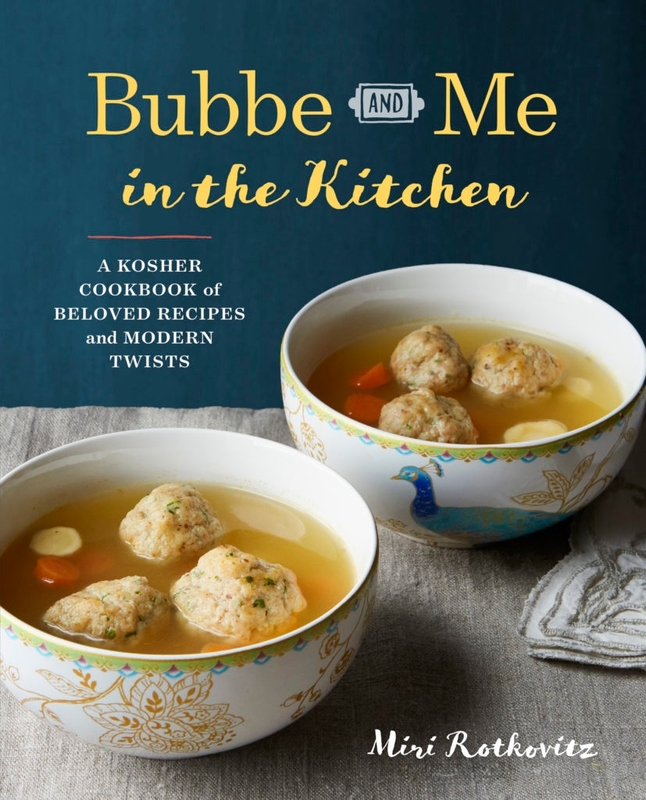 This recipe is excerpted from Bubbe and Me in the Kitchen: A Kosher Cookbook of Beloved Recipes and Modern Twists. 10 minutes, until the dough is slightly tacky but smooth. If the dough is very sticky, knead in the additional flour, 1 tablespoon at a time, just until the dough is no longer too sticky to handle. If you kneaded by hand, return the dough to the bowl. If you let the mixer knead, simply remove the bowl from the machine. Cover the bowl with a clean tea towel or plastic wrap and allow the dough to rise until doubled, about 1 to 1 ½ hours.